This Week for our featured Horse Race of the Week. This week, our members can bet on the Rainbow Stakes, slated for Sunday, March 29th at Oaklawn race track, to double their winnings. Simply place a ‘To-Win’ bet on a horse with odds of 2:1 or more. If the horse you choose wins the race, we’ll double your profits. Don’t forget to visit our off-track betting page on race day to take advantage of this opportunity. 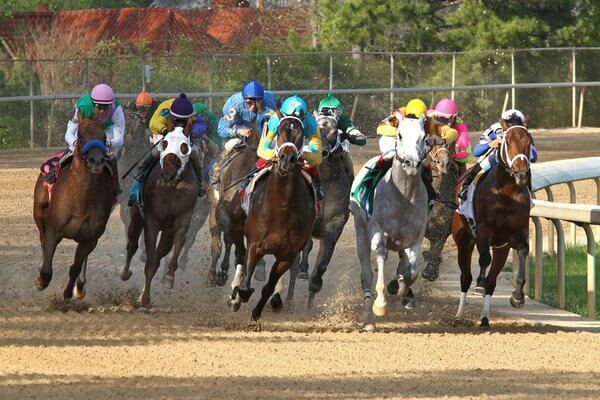 The Rainbow Stakes is an American Thoroughbred horse race event held annually at Oaklawn racetrack. The race has a purse value of $75,000 and is open to horses aged three years old and up. This race is contested at a distance of 6 Furlongs.